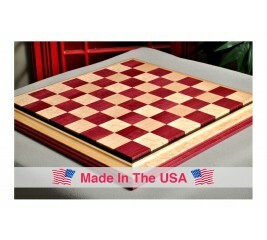 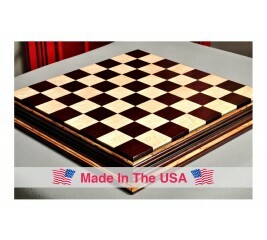 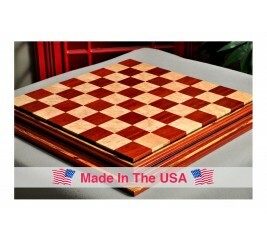 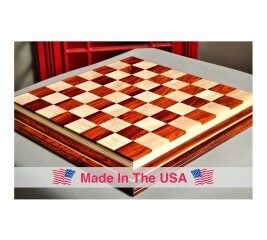 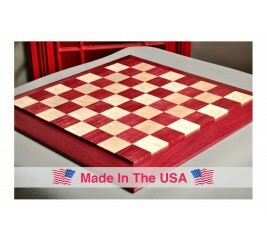 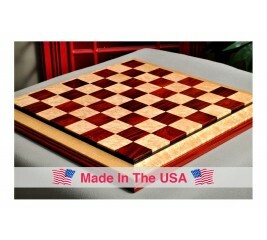 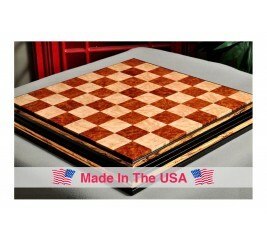 Masterfully hand-crafted, U.S. made chess tables are now available to our customers in limited numbers. These superb chess tables are crafted from the highest-grade materials, reflecting the perfect combination of artistic presence and functionality. 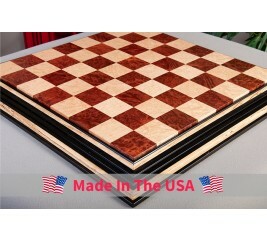 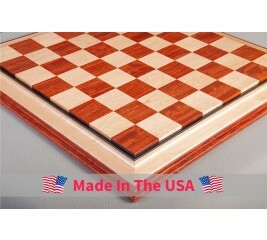 Designed by the "Maestro", Frank A. Camaratta, Jr.
A handsome wooden game table, perfectly proportioned, which was designed by chess players with the serious competitor in mind. 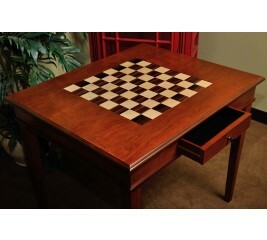 The table is Transitional in design and will blend with almost any decor. 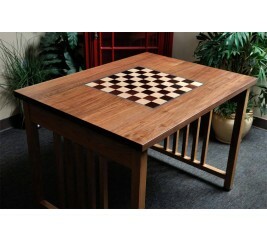 Special care has been taken to design a stable game table with the perfect proportions for Chess. There is room for a chess clock, score pad, captured chessmen, and your favorite beverage. 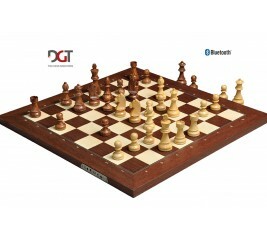 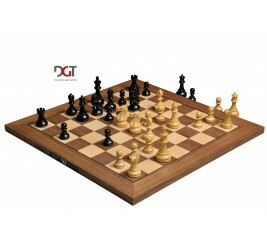 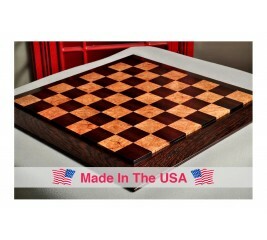 Browse the unmatched selection of beautiful chess boards offered. There are a variety of types of chessboards to choose from, including paper, vinyl and a selection of various wood finished boards. 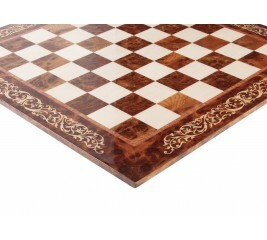 Whether you are looking for a simple vinyl board, or an elegant and luxurious wooden board, you are sure to find the one that suites your style at The House of Staunton. 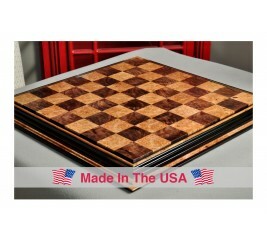 There are options to choose from to accommodate all budget types, whether yours is cheap or expensive. 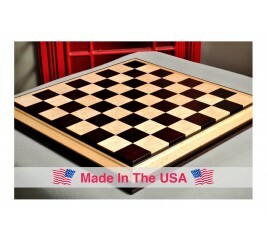 Are you a beginner chess player, or have you been playing for years and want to invest in a nice chessboard that will last? 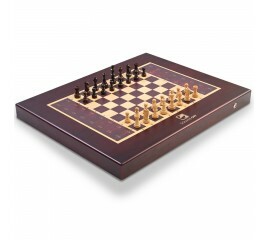 If you don’t want a wooden board to play chess on, try one of the mouse pad boards. These boards are a great novelty item to keep at your desk at work or at home.. 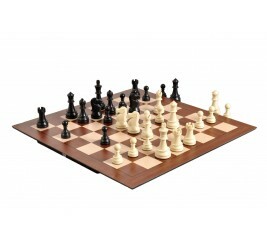 The most affordable options to choose from are the paper boards, mousepad boards, and vinyl chess boards. 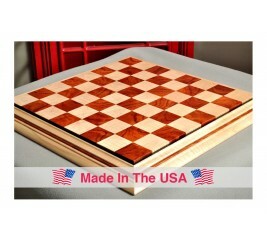 These boards are inexpensive and portable because they can be rolled up and taken anywhere, and are perfect for a beginner chess player, or for someone who is hosting an informal chess tournament. 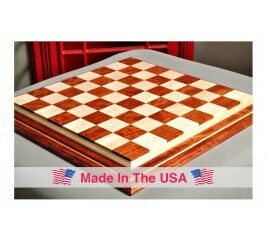 The higher-end wooden boards are more for advanced chess players who want to invest in a quality board that will last, or for a chess collector that doesn’t mind paying more for a wooden chess board.